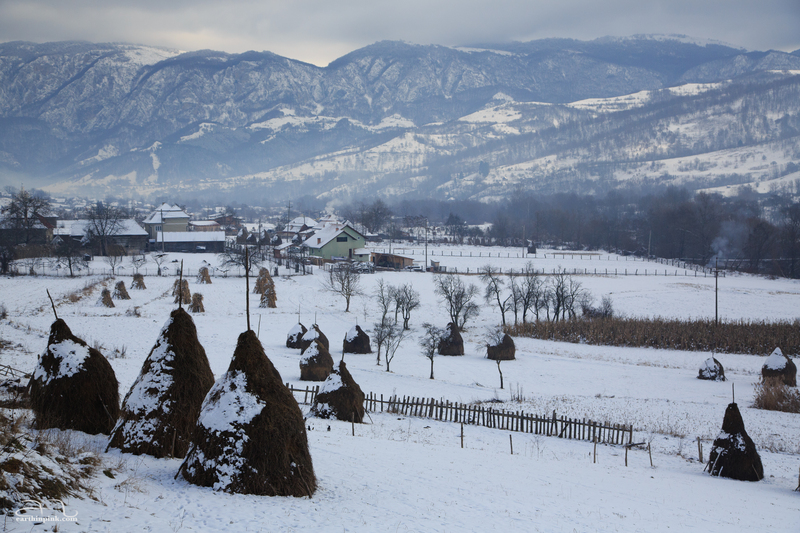 I’m about to head out on a summer photo-shoot of picturesque Romania, but before I do, I wanted to post a few of my favorite photographs from the past winter’s road trip through beautiful Transylvania. If you’re still looking for inspiration for a road trip over the coming winter break, this post is for you. 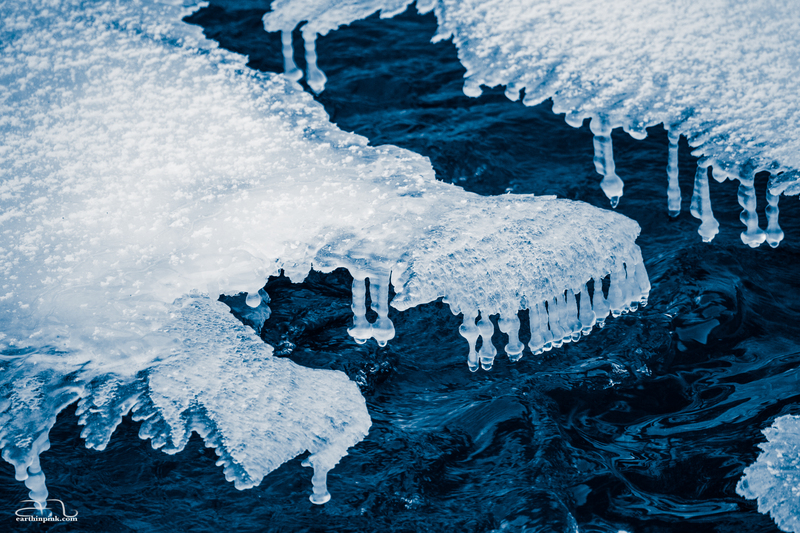 Rent a car with good winter tires (and preferably 4WD, although all these places can be reached also without, if you are brave) and come along! Romania’s second largest city has a vibrant atmosphere with great dining and interesting art bars – you will have no problem finding a memorable place to eat and drink! 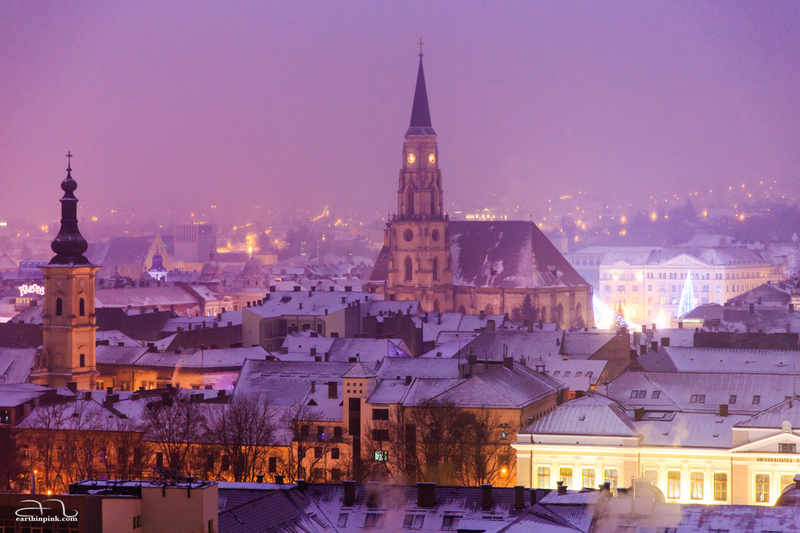 It is also home to alluring architecture; below, you can see a bird’s eye view of St. Michael’s Church in the city center, photographed at dusk from Cetățuia Park. Less than an hour’s drive south of Cluj, Turda makes for a great day trip, or an excellent pit stop on the way to other destinations both towards the east and west. While in Turda, you will also encounter the largest Romanian flag you will ever see in your life. It’s quite impressive. 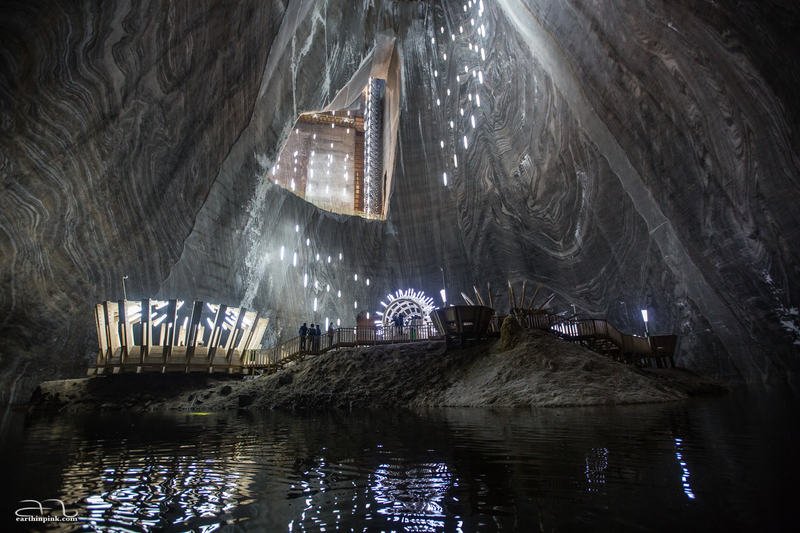 Probably the top recommendation for sightseeing in Turda itself is to visit “Salina Turda” – a repurposed salt mine that is now somewhat of a cross-over between a museum about mining and an amusement park, and has been ranked by Business Insider as the most beautiful underground place in the world. You can ride a Ferris wheel, and even rent a rowing boat on the small salt lake at the bottom of Terezia mine. Just half an hour’s drive west of Turda, you will find the Turda Gorge (in Romanian, “Cheile Turzii“), an impressive canyon about 3 km long and 300 m deep. 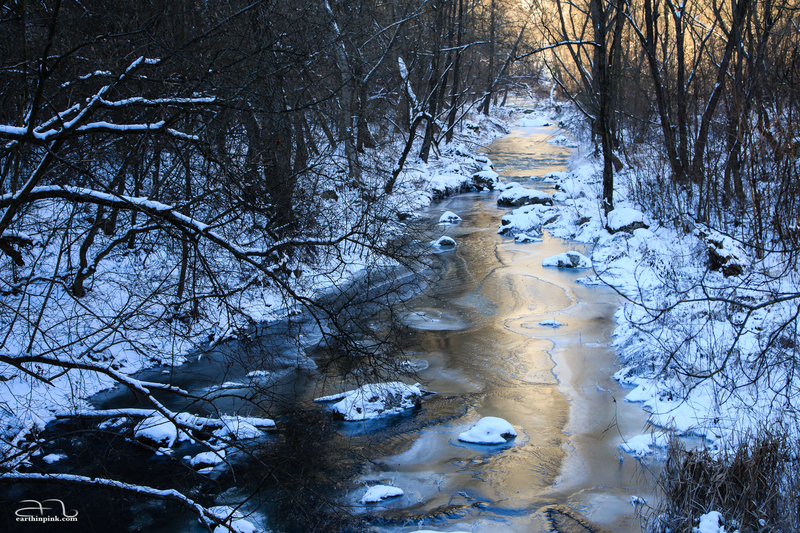 It’s not always straightforward to drive there in the winter on icy and sometimes winding roads, but if you are a confident driver and don’t mind the cold too much, a stroll along the river through this canyon is well worth the effort! 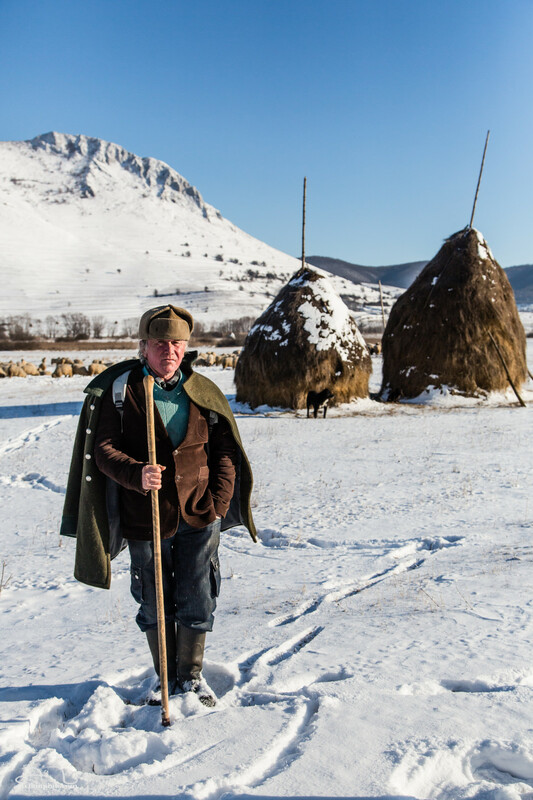 Still further west from Turda, along or just off of the DN75 road, you will feel like you’ve stepped back in time as you pass one village after another, all sporting quaint country homes, haystacks, and herds of sheep, set against the beautiful backdrop of the Apuseni mountains. My favorites have been Rimetea and Sălciua de Jos. In the heart of Apuseni mountains, you will find a large ice cave hosting a 3500 years old glacier considered one of the natural wonders of Romania. 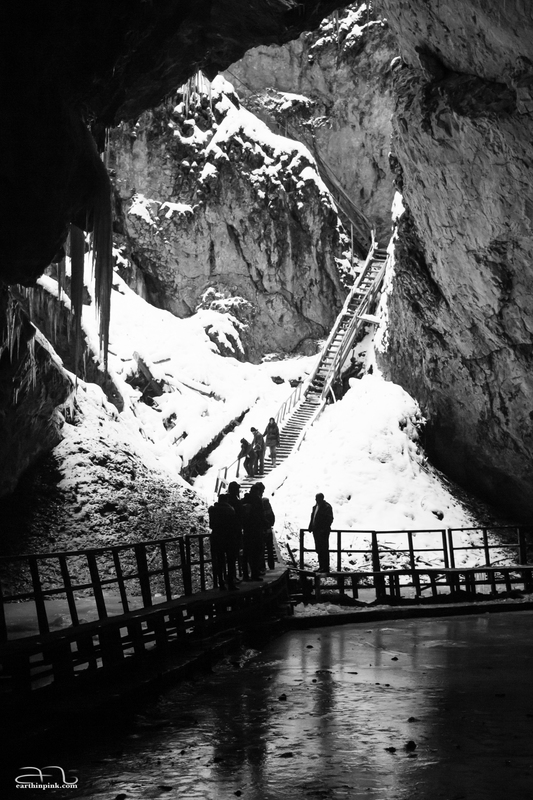 Although, as many other glaciers recently, it has been shrinking and losing its former glory somewhat, it is still worth a visit and you should see it while you still can – that is, if you trust yourself to descend the really steep stairs that go down into the cave! 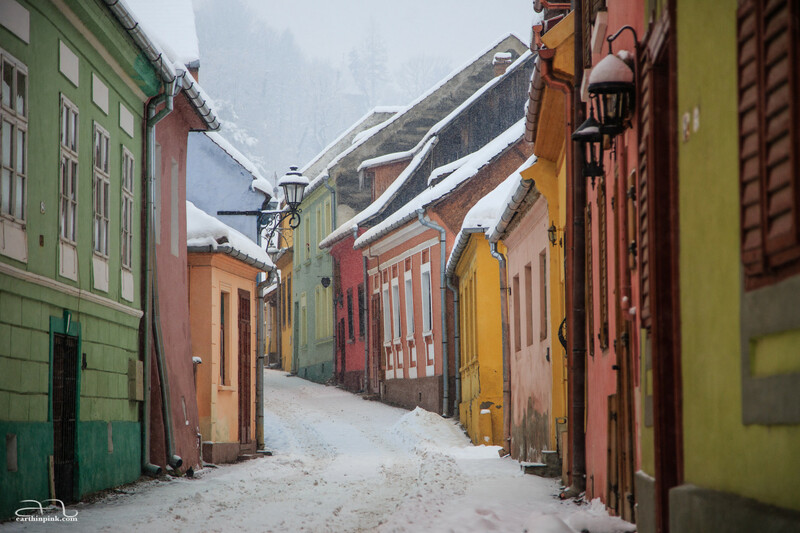 If, however, you decided to drive from Turda towards the east rather than west, make sure you stop in the beautiful city of Sighișoara – a small, fortified medieval town with an excellently preserved historic centre that certainly deserves its place on the UNESCO World Heritage Site list. There are several hotels inside the citadel, where you can spend a night or two feeling like medieval nobility. In less than an hour’s drive farther east from Sighișoara, you will reach the heart of Székely Land (in Romanian, “Ținutul secuiesc”; in Hungarian, “Székelyföld”). This used to be an autonomous region inhabited mainly by Székelys, a subgroup of the Hungarian people, and there are still territorial autonomy initiatives aiming to obtain self-governance for this region within Romania, which some present-day Romanians are not very big fans of. Regardless, traveling through this part of Transylvania will introduce you to a different culture with its own distinct architectural style. 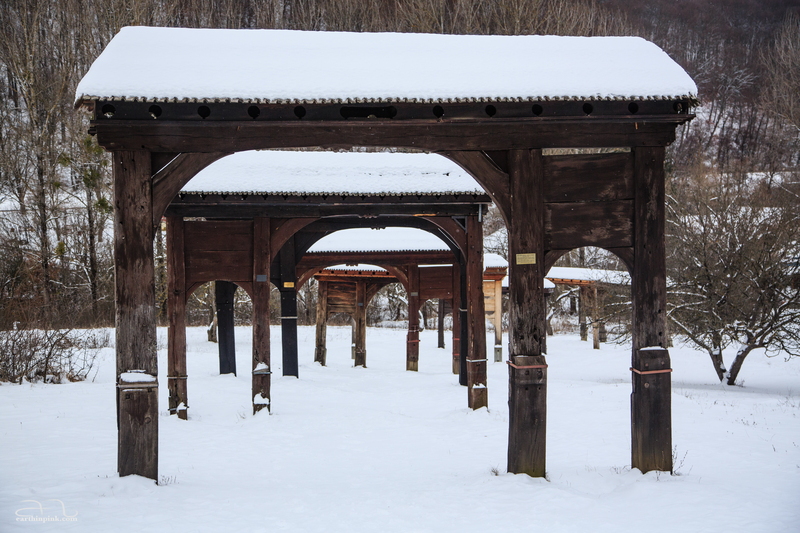 The villages are famous for their sculpted wooden gates and small white churches, the likes of which you will probably not find throughout the rest of the country. 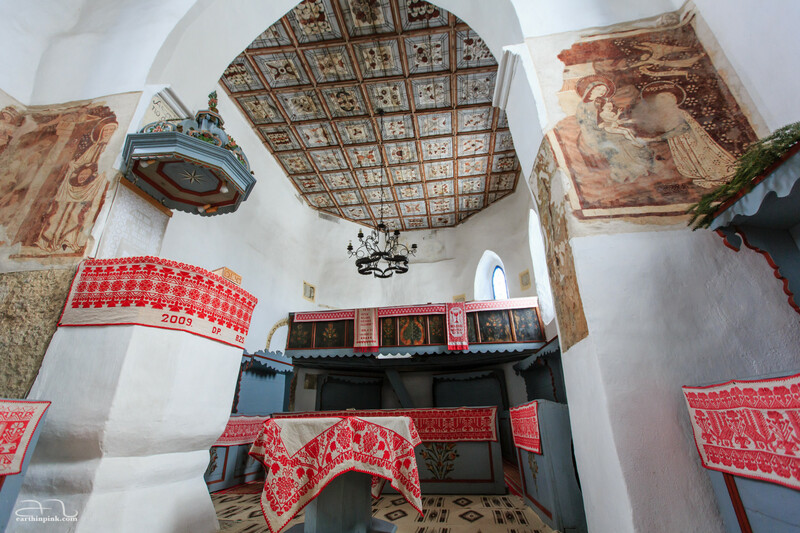 Here is an example of the interior of such a church in the town of Feliceni, which you will pass through just before entering Odorheiul Secuiesc on the way from Sighișoara – although, the church is not normally open to the public, and we had to let ourselves be convinced by a local to knock on the priest’s door and ask if he could give us a tour. As for the sculpted wooden gates, although you will inevitably see many of them along the road, it is still worth paying a visit to the grave of Orbán Balázs just north of Odorheiul Secuiesc. As a writer, historian and politician, Orbán’s most famous work is an encyclopaedic description of Székely Land. Upon his wish, the way to his grave is marked by a set of traditional Székely wooden gates, including the one that used to belong to his own house. From Odorheiul Secuiesc, you can continue east through Miercurea Ciuc and the beautiful landscapes around the resort town of Băile Tușnad, and end your trip in Brașov, which is one of my favorite Romanian cities, and just a stone’s throw away from the famed Dracula’s Bran Castle. I spent 8 beautiful months in Transylvania and I miss it so much.